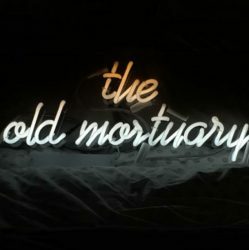 theoldmortuary is a place where artists and creative people come to talk. Creative Port is a series of conversations with artists and makers who have a connection with Plymouth, Devon, UK. Plymouth, the Ocean City, is a creative city of arrivals, departures and settlers. Linda Winter is a regular at all three. She will be exhibiting at Bens Farm Shop, Yealmpton soon. Coming from a family of creatives, it would have been easy for Linda to become a painter. Creativity is in her blood, descended from an East End tailor, her mother was a woman compelled to make the intricate and fabulous, if not always useful, fabric creations. Her brothers are Art School trained and successful. Christopher Stevens is a painter of note and Head of Painting at Brighton School of Art. William teaches art in Bristol. However, and perhaps perversely, Linda avoided the art school route, her work is solely the product of her innate ability. Sibling rivalry may have made her pick up a paintbrush initially but it did not lead her along a traditional route. Linda had an uneventful education and then ran away to Cornwall and had a family. Her rebellion was short lived. Three young children, little money and a house on the edge of Bodmin Moor meant that she was thrown back on old painterly habits to keep her sane. Using Gouache on Arches paper, she painted large vibrant semi abstract boats that quickly became her signature style. Selling though the Barbican Gallery in Plymouth helped to establish herself as an artist. In Plymouth in the 1980’s and 1990’s, being a female artist was a struggle. So, in spite of having numerous one woman shows, Linda went to University to learn how to teach. Again the rebel surfaced, instead of studying art, she studied Psychology and is now teaching Psychology in London, but she still comes home to the sea most weekends and holidays. One eventful afternoon with only a small canvas to hand, she noticed some beetroot on her kitchen table that had been purchased the day before, (She paints in her kitchen). The leaves were beginning to wilt in the sunlight. The purple of the bulbs vibrant against their fading glory. She picked up her brushes and an idea was born. Although a classic still life subject, fruit and veg were not an obvious choice for an artist as vivid as Linda. The Fruit&Vegetable Series however made a serendipitous connection when Linda had a chance meeting with the Management from Ben’s Farm shop in Yealmpton (where the Beetroot came from). A unique exhibition will be held in the newly extended eating space at Bens, featuring paintings of her naked organic vegetables. The exhibition is special, following a conversation over coffee about the difficulties some families have in affording quality food, it has been decided that the commission, 20%, of each painting sold will go to the Trussell Trust and Plymouth food bank. Organisations’ that Ben’s already support. In addition, Ben’s will also donate a proportion of the afternoons takings from Food and Drink sales. Unconventionally, the opening, at 3pm will be a family event with kids painting, burgers, the paintings and Linda telling her story. Regular adults not accompanied by children are also very welcome. The fruit and veg show opens at Ben’s farm shop on the first weekend of June.